Can you really fax online for free? Stop! You're probably looking for a way to save money in any way possible. Saving money can be done in a lot of ways. Since it's conception, faxing has always been walking over to the big chunky fax machine, fumbling with the paper, the ink and waiting for the eeeeeeeeee bbbrrrrrrrrrr eeeeeeeeeeeeeeee from the other side. Thank God for new technology so you no longer need a fax machine to send a fax. Breaking news (not really) In case you having been living off the grid like John Conner, you can now fax through the internet! Online faxing is more efficient than the traditional fax machine and provides you with more benefits and features at a lower price. There are many advantages in using faxing online or through your email. And certain benefits like receiving faxes anywhere in the world (nice!) that you could never get with a fax machine. Times they are a changing! Sending and Receiving faxes online is the modern faxing solution. 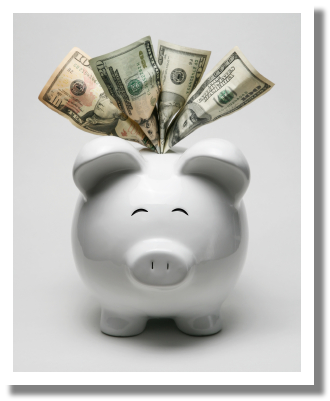 SAVE MONEY – The biggest concern of many big and small companies is saving money without sacrificing productivity. Depending on the size of your business, faxing through the web could save you $40 a month at minimum over traditional faxing, or thousands if it gets you that next big deal. All while increasing your productivity. There is no need for an expensive fax machine or wasting money on paper and ink supplies because online faxing doesn’t require these. Also did you know that the fax machine is the most energy consuming office machine? Watch your electricity bill go down once you switch to online faxing. INCREASE PRODUCTIVITY – Sending and receiving faxes online is so fast and easy to use that you will have more time to focus on more important tasks and projects at work. There are many options such as online fax broadcast and the ability to send a fax to multiple numbers with just a click of the mouse. Sending a fax is just like sending an email, plus you can access your online faxing account from anywhere in the world at anytime so it’s like having a portable fax machine with you 24/7. RELIABILITY – Have you ever missed an important fax? This has happened to many at least once and it can be very annoying. Not only that but fax machines can also break down, run out of ink or even get into a paper jam at the least desired moment. Online faxing services are working 24/7 ever day of the year giving you peace of mind knowing that your faxing needs are covered. There are no busy signals to put up with and if you have any troubles you can always contact customer service which is also available at all times. 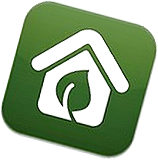 GO GREEN - Internet fax services also helps our environment. Since there is less use of paper you will be saving lots of trees! In fact, you will reduce consumption in many supplies including energy since a fax machine is the most energy consuming office machine and online faxing only requires a computer and internet connection. SECURITY – For many large and small companies, faxing important documents to the right destination, at the right time and with confidentiality is a must. Internet faxing services make sure that your faxes are sent securely, providing you with one of the safest communication tools. To help you out, we’ve picked on the best internet fax services available and reviewed them for you. Features and Benefits – A good internet fax service will allow you to easily set up your account and even manage your outgoing and incoming faxes through your web based email. Plus, you should also check for features such as notification options, storage space and forwarding. The Plan should Fit You – There are many types of plans and prices among internet fax companies but make sure to check and compare them all to see which meets your needs. If you are not sure then you can always take advantage of 30 day free trials to test them out before making a choice. - Do they have a start up or installation fee? - Do they offer a 30 day free trial? - How many pages are included in the plan? - How much do additional pages cost? - Are there any hidden fees? - Is customer services US based and available 24/7? - Is it compatible with your computer applications? Overall, prices vary depending on the volume of faxing you use per month. Lighter faxing will be cheaper than heavier faxing needs but you can find great prices that are considerably less compared to using a fax machine. Looking for a Free Fax Online Service? Do you want to send a free fax online? Does faxing to email require software?